In 4-quart saucepan, heat all ingredients to boiling over high heat. Boil 3 to 4 minutes or until noodles soften and shrimp is pink and fully cooked. Kimchi comes in mild and hot varieties. Choose the type that suits your palate for this flavorful dish. 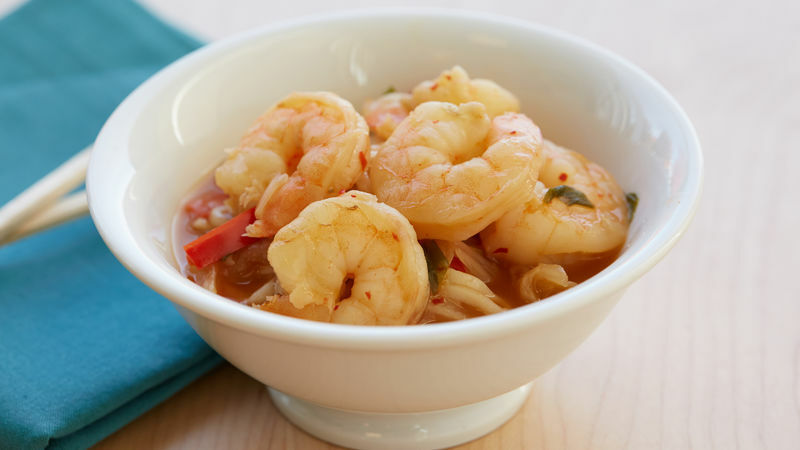 Frozen shrimp is an easy weeknight protein if you know how to handle it. Look for peeled and deveined shrimp. Thaw in a colander set inside a bowl under cold running water 10 to 15 minutes or until fully thawed. Then pat dry and cook as directed.